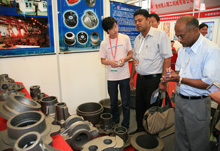 Founded in 2005,“China (Shanghai) International Casting Exhibition” has been held Fourteen times successfully, with exhibits covering foundry, casting mould, foundry materials, foundry equipment and foundry accessories, etc, and has become one of the most professional and authoritative brand exhibition with high specification at a high level through development. It responds to the call of national policy, advocates enterprises to go on the way of innovative, efficient and green foundry and promotes science and health of industry and harmonious development with nature and society actively. The 15th China (Shanghai) International Casting Exhibition will be held in Shanghai New International Expo Centre during 30 Oct-1 Nov,2019 grandly. 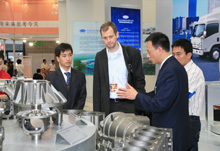 It will invite domestic and overseas foundry manufacturers and giants of materials and equipment to exhibit new products, new techniques and new equipment in accordance with the requirements of “internationalization, professionalization and high level”, thus helping industry leaders to know the latest trend of global foundry industry chain in an all-round way and building a one-stop procurement platform of products, materials and equipment for visitors! BMW Caves In to Trade, Pricing..
China's iron ore demand to rem..
Trump Ramps Up Tariff Pressure..
Volkswagen plan to use 3D meta..
U.S. Skills Gap is Hurting Man..